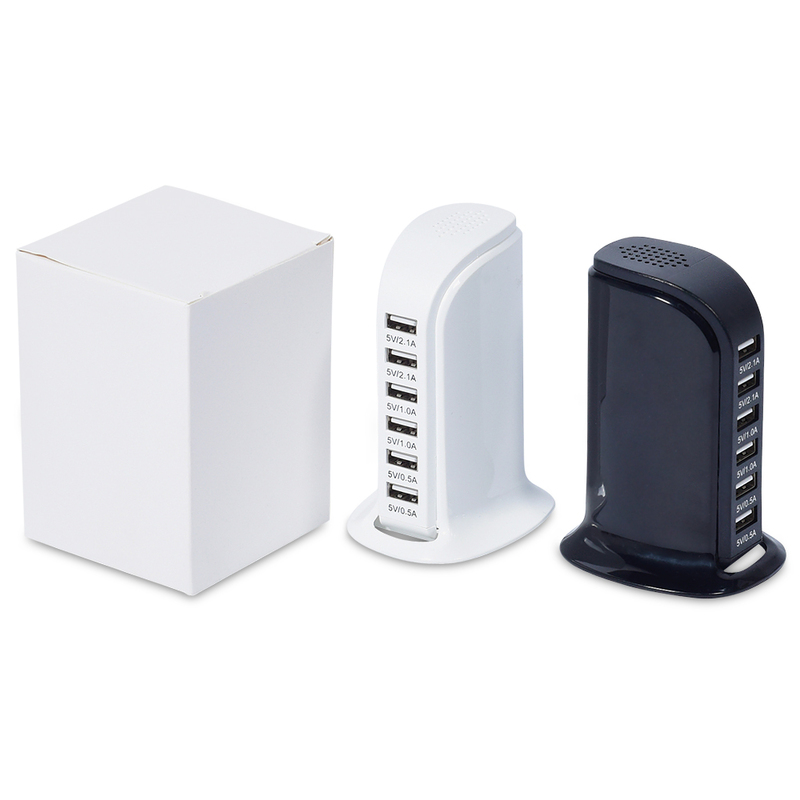 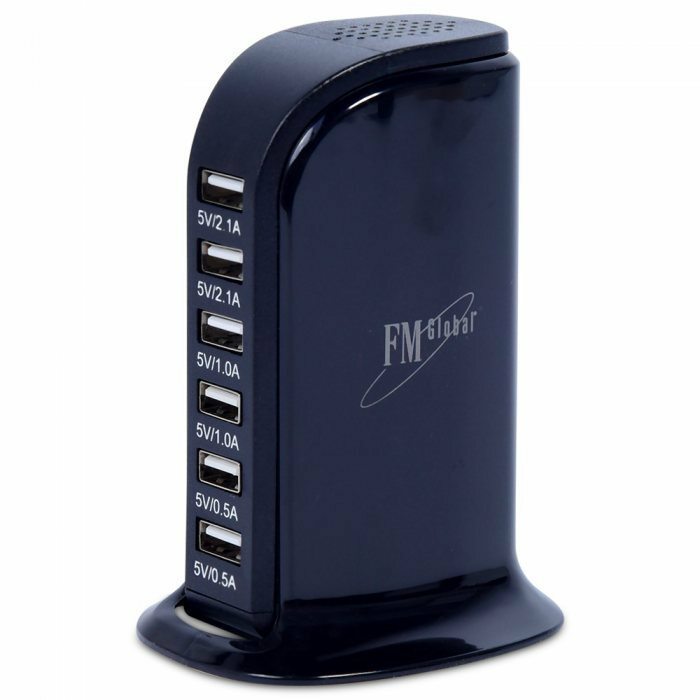 6 Port USB Charger simplifies your home or office decoration by eliminating your messy clutter of chargers and wires. 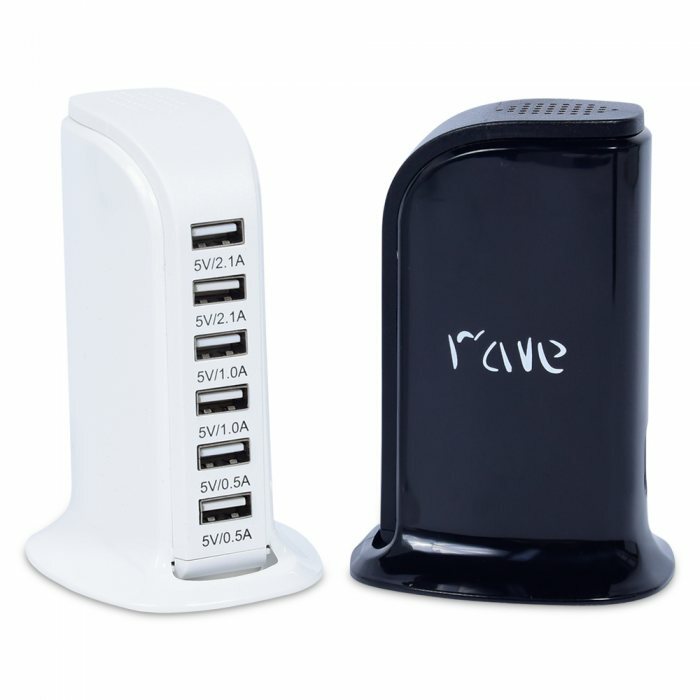 Lightning's unique design, compact and elegant, save space on your desk or bedside table , and a good choice for travelers.With a total of 6 USB ports and a total output of 44 watts, charge almost any USB device you can charge more than just your smartphone or table with this handy. 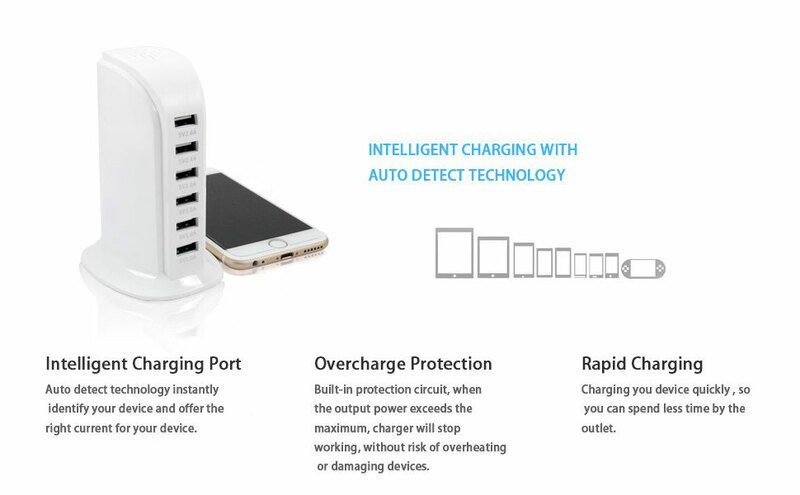 The charging station is manufactured with the safest, most advanced, PCBA on the market and the hub uses fireproof composite materials. The finished products look very good.